Endless Nest is the Artist collective consisting of 4 entities, a recording studio, a field recordist, show organizing and the label called Empty Cellar records. Arvel contacted me about his latest release from Empty Cellar and I actually ended up recording an interview with him which I'll post tomorrow but in the meantime here's some thoughts on their latest seven inch release. This split, the first 7" for the label, is with The White White Quilt and Joseph Childress, I didn't know anything about either of these two before hearing this but the opening few seconds of Joseph Childress' side are so powerful, it's all I needed to be convinced. The countdown to a beautiful echoed acoustic guitar melody immediately punctuated by this huge booming percussion sound which apparently was members of the White White Quilt hitting the inside of this metal tower. It's an amazing unique sound that has so much to do with the space and story that went into recording this single. I was hooked the second I read the story behind it. 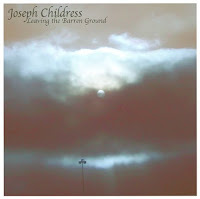 It seems Joseph Childress is that classic fast disappearing vagabond American storyteller. He can pull off this heartwrenching confessional songwriting style, like the greats of the genre. It's even more impressive this is a live recording, his performance is just amazing. Like Jason Molina and Songs:Ohia, it's hard to listen to almost, I don't necessarily want to go there tonight, but once it starts I'm in the silo not making a sound, not moving so I don't break the spell. The White White Quilt on the other side is equally matched to Childress's intimacy. The reverb on these tracks from the water tower/silo is incredible, there's just no way to authentically replicate this soundspace...and then to put it on vinyl? It's a piece of perfection. The acoustic melody reverberates around the space, while both members of the White White Quilt harmonizing in almost a deep whisper. It's a slow, sleepy track, with a hesitating fingerpicked melody that breathes so much space around it, the noises around you become a part of the track, a jackhammer in the distance, a crow....it lends itself that Cage thing of everything becoming a part of the experience. 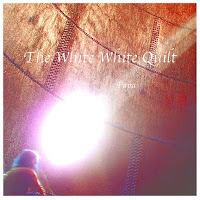 The bonus digital track from the White White Quilt, 'Fire Cup' is an even more epic minimal acoustic track, complete with metal creaking and even larger pauses between notes. This has to be the result of sitting down to record this at the tower...this song has to be different played live, at a bar....anywhere else. It sounds exactly like the cold empty night. They actually were kicked out of the water tower for trespassing. The WWQ brought a generator to the second session to lengthen the playing time and that's what alerted the world to their presence in the tower. The bonus WWQ track on the download is from that second session. According to Endless Nest, The White White Quilt has since disbanded but both members are off on their own solo projects. Martin Salata is working on the Like Circles and Alexander James on The Quilt. So this might be the only recording of the group committed to vinyl unfortunately, but it's a monument. Amazingly captured by the field recording member of Endless Nest, The American Opry, he deserves all the credit for getting these intimate live moments down on tape (? )...whatever he used, whatever mics, it's an achievement. To think of these two bands in the middle of nowhere, playing these two amazing tracks to no one but themselves in the middle of the night, choreographing the percussion performance inside that space...it's the saddest thing I can think of. It's genius to record here and adds immeasurably to the ambiance of the recording. Get your heart broken at the Endless Nest store.